Lord Ganesha is regarded as the god of all good beginnings, god of prosperity and success. 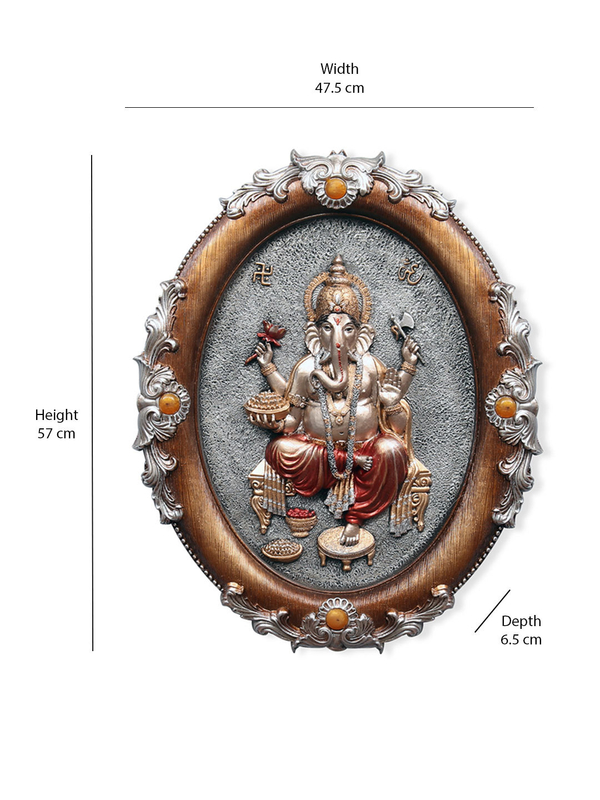 If you are looking for a traditional add on for your fabulous walls this Ganesha Wall Decor is a perfect choice. This beautiful Ganesha wall decor is traditionally crafted with gleaming colours that resemble ethnicity. The frame is constructed with polyresin to deliver a long lasting service. Give your walls a feeling of enchantment and revive the aura with spirituality. You can also gift this charismatic decor to your family & friends as a token of love and peace on Diwali.